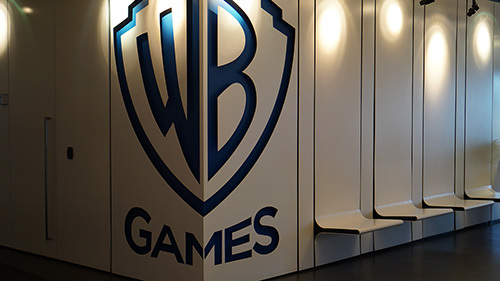 WB Games Montréal is a video game developer founded in 2010. We are best known for our game Batman™: Arkham Origins. Our studio is focused on developing games that expand the DC universe in the interactive space. Collaborative team meetings give everyone the opportunity to speak up and share ideas; whether it’s a VP or an intern, nobody is defined solely by their title. By being proud of our accomplishments, sharing our work, and honing it with the help of everyone on the team, we can feel confident that we will hit our ultimate goal: make incredible games! We don’t have cubicles in our studio because we don’t like walls. They get in the way of great work. 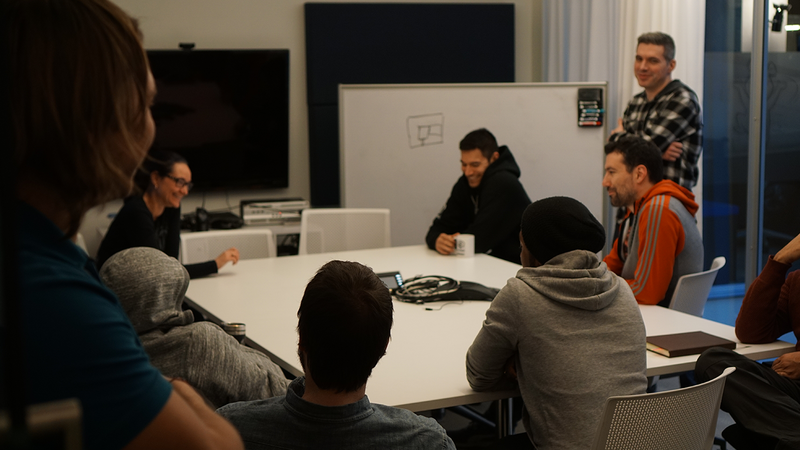 It takes us sharing and collaborating to make awesome games, so our desks are open, and we sprinkled in a few couches and meeting rooms to foster collaboration. The building managers told us we couldn’t knock the walls down to the outside—something about structural integrity, and weather—so we turned them into whiteboards instead. Sometimes, the best way to see a city is with a bird’s-eye view. Thankfully, that’s easy to get from our rooftop patio – with an incredible view of the neighborhood and Mont Royal. During the summer, team members can be found enjoying a BBQ, the International Fireworks Competition or one of the many cocktails hosted by our studio team. It’s a great way to unwind and make new friends. 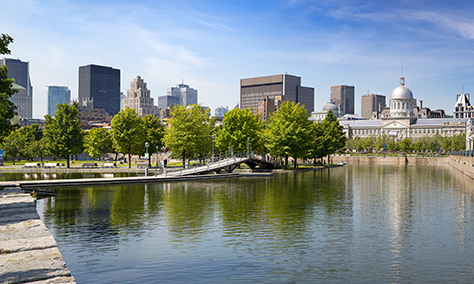 Known as the cultural and commercial city of Canada, Montreal is the most populous municipality in Quebec. Most of us sleep, but the city never does. It might be an album launch on Monday, a Fashion Cocktail Party on Wednesday, a new restaurant opening on Thursday, a rock concert on Friday, a hockey game on Saturday…Montreal never ceases to amaze and inspire. You can also avoid the heat during the summer or the chilly winds during the winter by exploring the Underground City. This is a series of interconnected underground tunnels, offices, hotels, shopping centers, and much more.